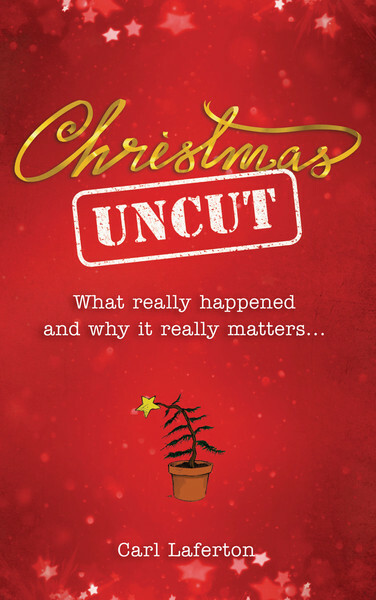 Christmas Uncut - just $1.99 until Monday night! When children act out the nativity in a school play or nursery group, it really doesn't have much in common with the historical Christmas. Over the course of time, we've cut huge, crucial bits out. We've added in nice but completely made-up details. We've made it into a tale for children and forgotten the real events. There were certainly no kings or a donkey! We have turned Christmas history into a nativity play. I don't want to spoil the party. Nativity plays are a part of the whole Christmas experience, along with desperate last-minute shopping and sending cards to people who you didn't make the effort to see last year. I've been in the front row of both my son's nativity plays smiling proudly. It's just that the real Christmas is much more interesting than what we've turned it into. It's worth rescuing and re-telling. And that is just what Carl Laferton has done in Christmas Uncut. Read more HERE and get the book for just $1.99 until Monday night. Simply use the code cu1113 at the checkout.